Dr. Sycamore is a huge proponent for dental implants but he also realizes that there are other options for replacing a missing tooth and they all need to be considered because there are times when a more traditional treatment is more advisable. There are four ways to deal with a missing tooth. They vary in cost, comfortability and practicality. Each way has pros and cons. The simplest thing to do following the removal of a tooth is to do nothing. There are cases when not replacing a missing tooth is fine and Dr. Sycamore might ever recommend doing nothing. This is an option that is not very popular. There is no one that wants to use a removable compete or partial denture but it can be a valid treatment under some circumstances. This is a common treatment that is regularly used in Thousand Oaks and across the country. 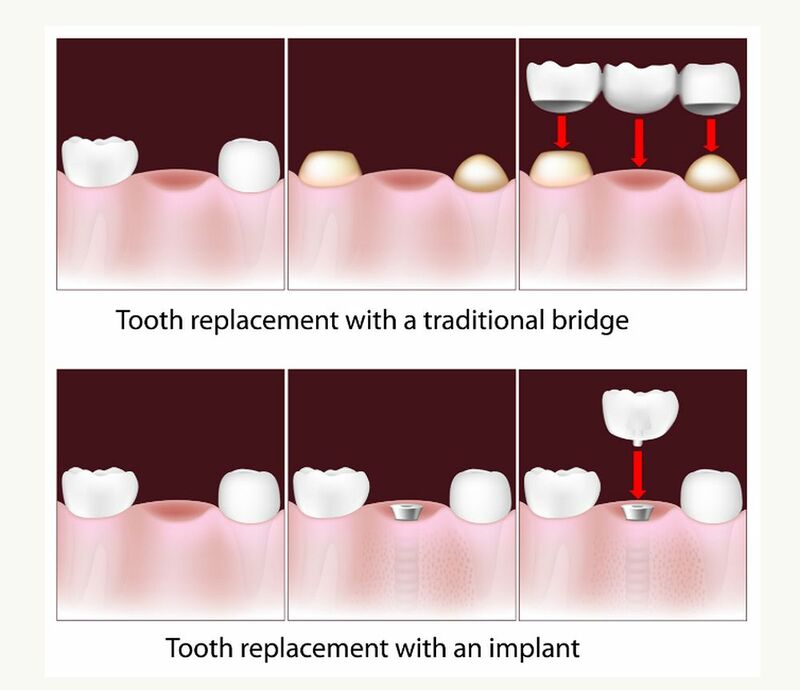 There are many times when a simple bridge is a perfect solution for a missing tooth. Dental implants are often the gold standard for replacing a missing tooth. It’s the closest thing we can do to replacing a tooth with another tooth.